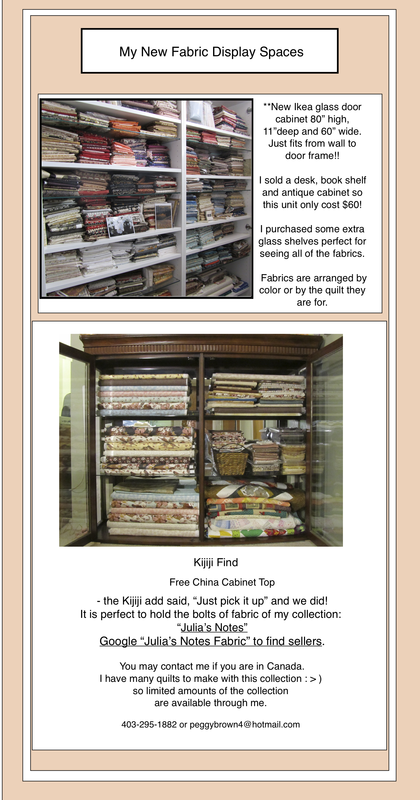 New Display Cabinetry – Petals Fair is about fabric designing, quilting, Christian faith, family and other musings!! Previous Previous post: I would love to get comments on what you find of special interest in this blog – wanting to grow a dynamic blog and the Christian fabric designs which will bring great comfort in quilts! Next Next post: Fabric in Port!